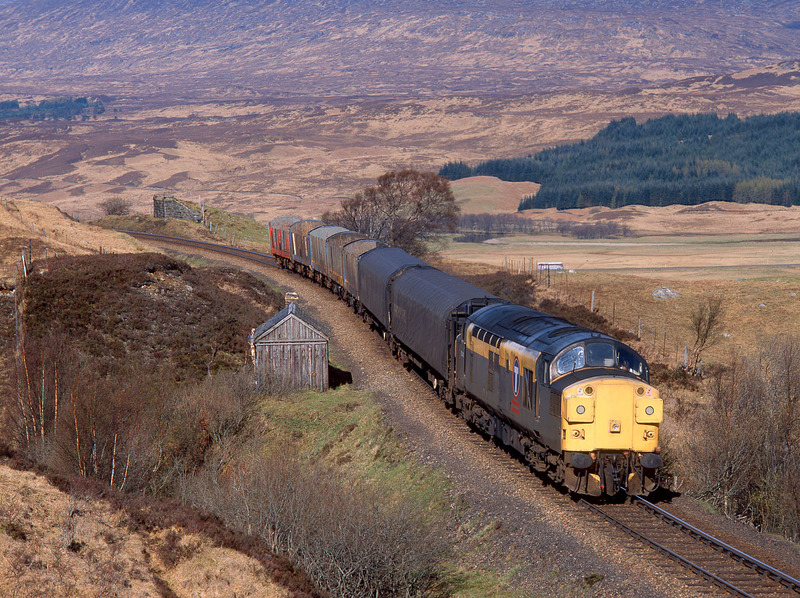 37043 passes a long since disused permanent way hut and the remains of a former footbridge as it passes Achallader on the West Highland Line with the 6Y45 06:36 Mossend to Fort William Enterprise service on 28 April 1998. For once it was a pleasant wait in the sunshine at this remote spot as the infamous Scottish midges that become unbearable later in the summer had yet to make an appearance. Also at this time of year the landscape shows a varied mixture of colours from green through brown almost to purple.